I can officially thank Vegan MoFo for one of my favourite dinners ever. I wanted to post a recipe today, so I was inspired to pull together a bunch of stuff into my fridge into a meal. And it worked so well. Usually I take a bunch of leftovers, and put them in a tortilla and have a wrap. But I was in the mood for greens, and something quick. 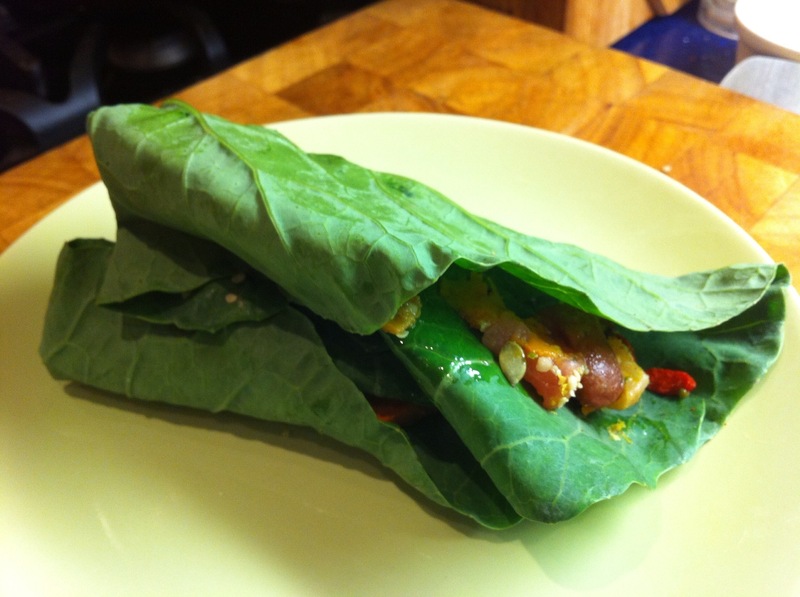 So I used a collard green leaf and made myself a green wrap! I had some gorgeous Thanksgiving-inspired roasted veggies in the fridge (here in Canada it’s Thanksgiving this coming weekend). They became the filling for my wrap, along with all my favourite “toppings” that I seem to put in and on everything! I am so pleased that I now have another option for a quick and nutritious meal. Because somedays you just don’t feel like cooking — but you want something delicious. This leftovers-in-a-wrap idea really fits the bill. 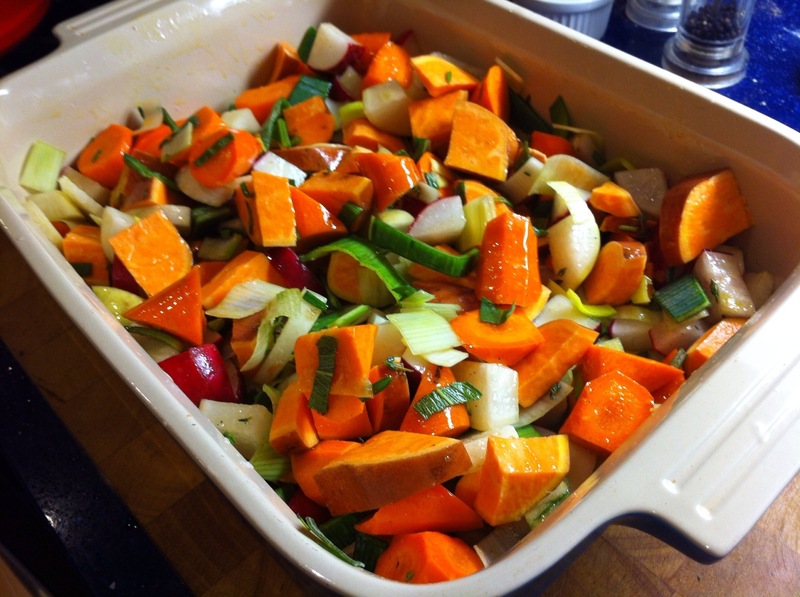 Combine sweet potato, leeks, carrots and radishes with coconut oil, sage, thyme, rosemary, and sea salt in a roasting dish. Roast at 425 for 45 minutes, or until veggies are soft and start to caramelize around the edges. 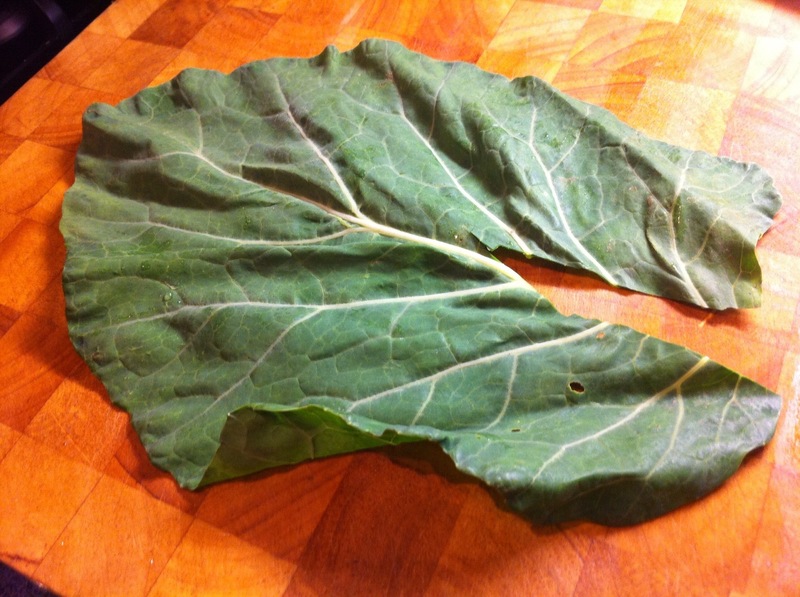 Once the veggies have cooked, lay out each collard green on your cutting board. 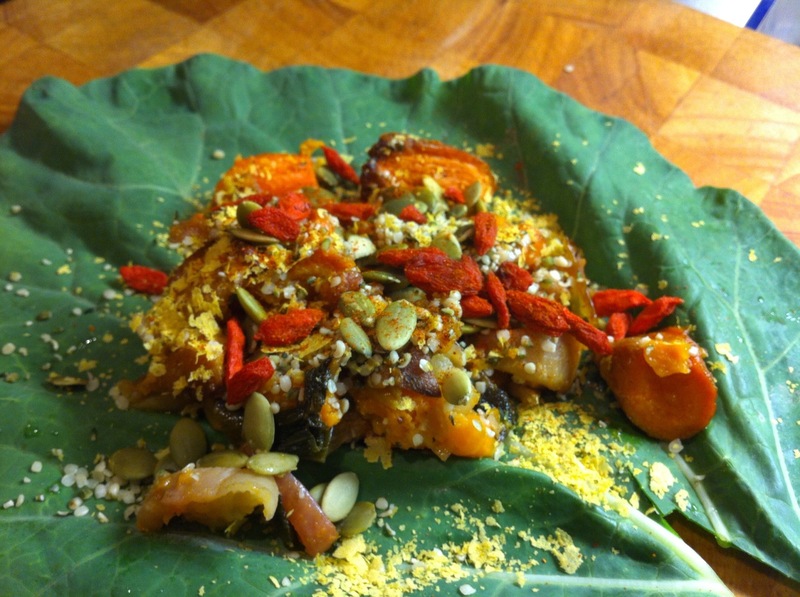 Top with a big heap of roasted veggies, then top with hemp seeds, pumpkin seeds, goji berries and nutritional yeast. Sprinkle with cayenne, and roll up into a wrap. Enjoy your meal, and all the nutrients you’re getting in such a delicious way! Happy Thanksgiving to you! 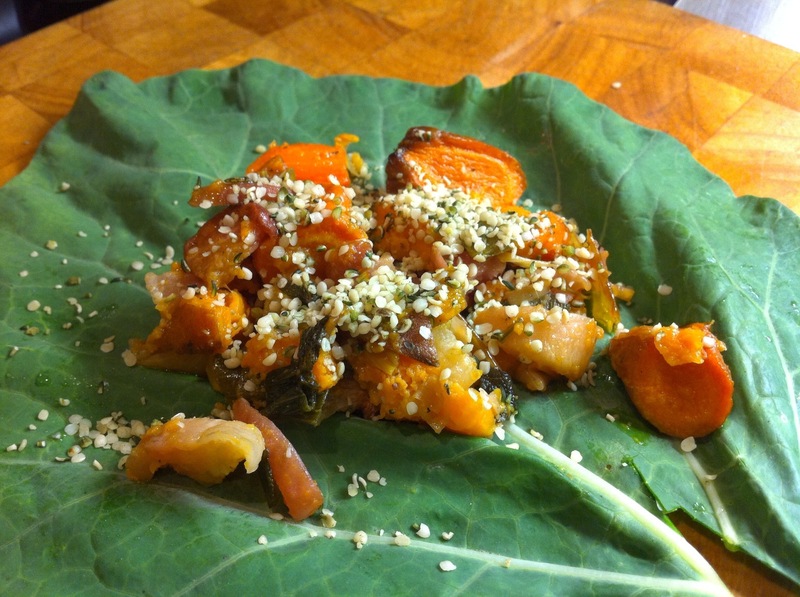 I love the idea of a collard as a wrap and filling it with fall veggies is brilliant! Thanks Amanda!! I’m looking so forward to even more fall veggies for Thanksgiving this weekend!! !